Lipstick so soft and smooth you won't believe it's long-lasting. Hours and hours of luscious, feel good color in one smooth step. Available in a wide range of beautiful shades. 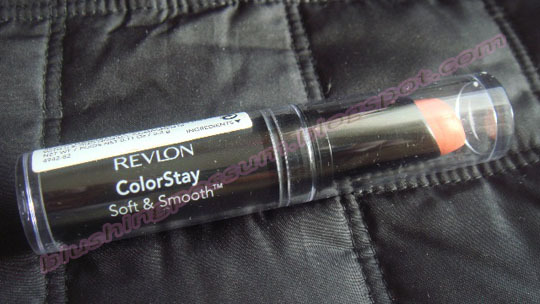 Revlon is my favorite drugstore cosmetic brand until they discontinued my HG coral lipstick for everyday wear. Now back to my review, I think this lipstick is very wearable and it smells good too. 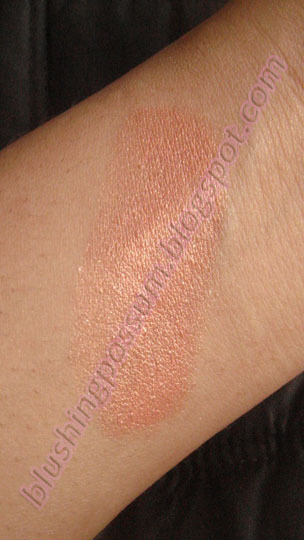 It has a very nice soft coral shade that gives a very light, frosty finish. Others say that its color comes off as a little bit orangey but for me, it’s actually very peachy. I love how smooth it glides when I apply it and how it maintains moisture on my lips for hours. The staying power is above average – lasts about 4-5 hours. The only pitfall of this product is the tube. If you’re not careful, the clear cap will collect smudges of the lipstick inside and that’s not at all very pleasant to see. I can almost imagine myself sadly scraping my last tube of this gorgeous lippy clean as early as now. The search for a lip product for daily wear that is as great as this one is on! hi there, thanks for following my blog. Spicy Beautiful is a lifestyle blog named for our attachment to spice and everything nice. We created this blog to share stories of our cooking adventures, food discoveries, travel escapades, beauty finds, cat fervour, and lots of geek-awesomeness! All content and images are the exclusive property of Spicy Beautiful™ © 2011-2013, all rights reserved. All works within the site should not be altered and must not be used for commercial purposes in any way. All recipes, reviews, photos, and other associated information of this blog may be shared freely but proper attribution should be done. The use of this site constitutes your agreement to these terms. Spicy Beautiful by Zane Artes and Van Triunfo is licensed under a Creative Commons Attribution-NonCommercial-NoDerivs 3.0 Unported License. Based on a work at www.spicybeautiful.com.